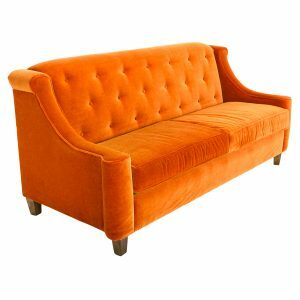 Tags: velvet, couch, Hollywood Regency, sofa, friends sofa, friends couch, orange, Old English. 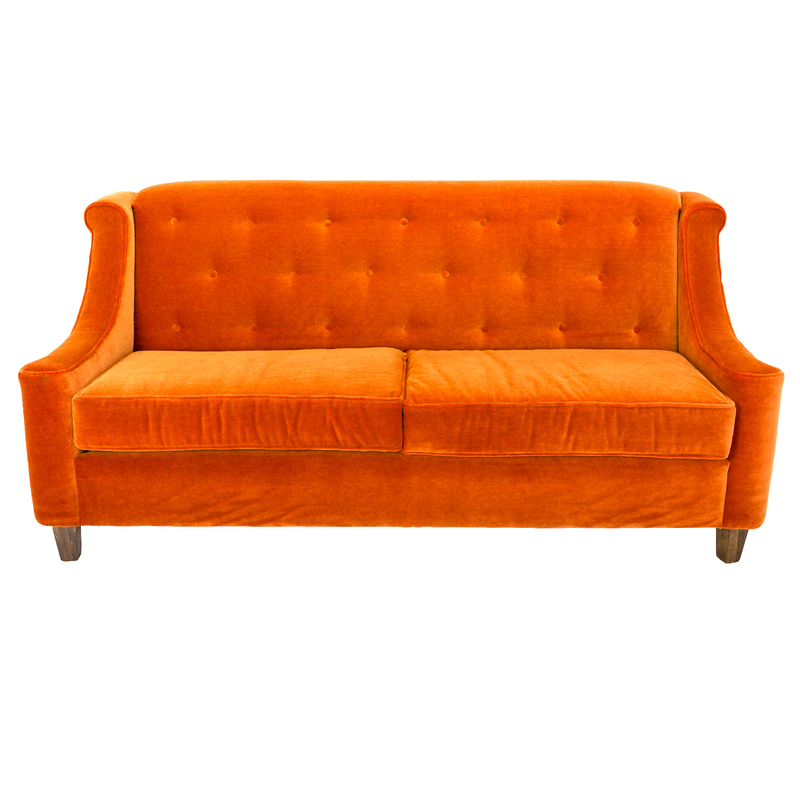 Outrageous in the fun sense, the Amelie Sofa (Orange) is a true orange dream machine. 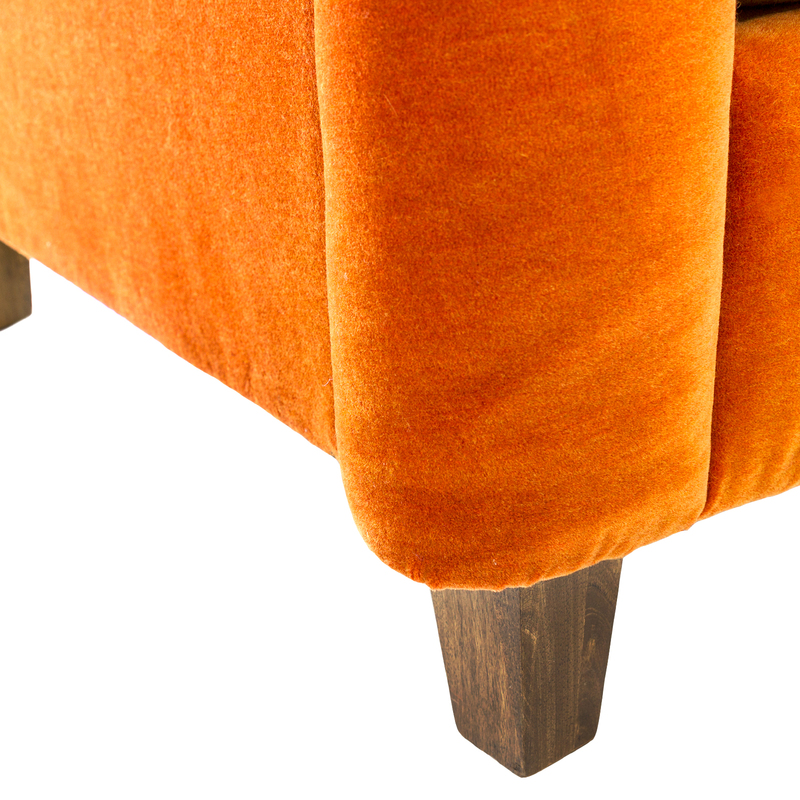 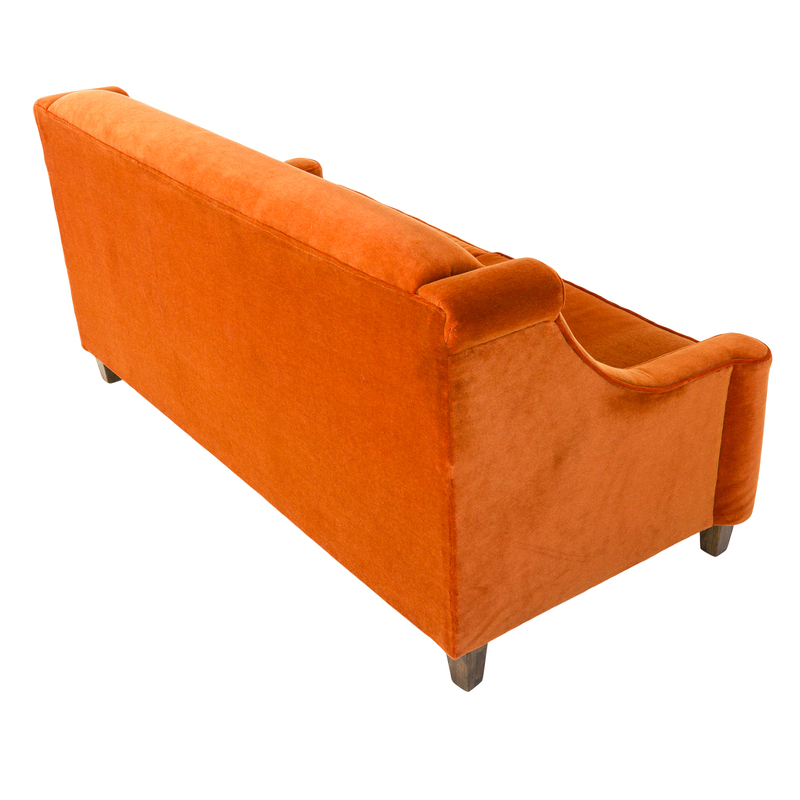 Upholstered in orange velvet fabric, the Amelie Sofa (Orange) has sleek natural wood feet. 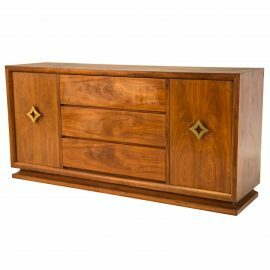 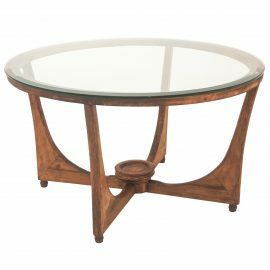 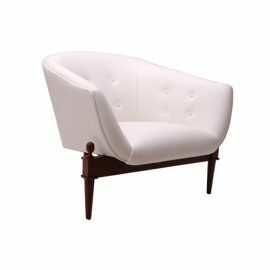 Also available in a becoming olive green (see below), the Amelie Sofa (Orange) is the perfect non-traditional sofa for events.